French toast doesn’t have to be sweet. 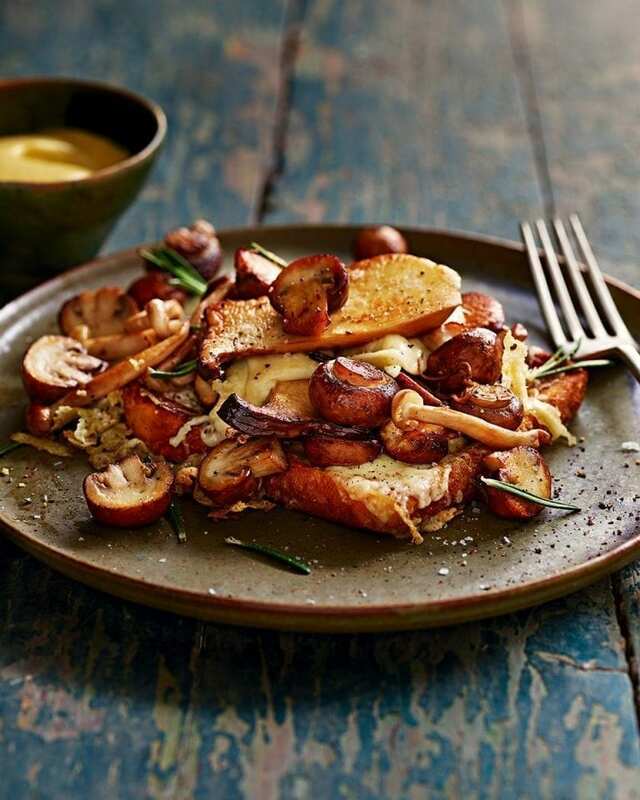 Have a go at this incredibly cheesy recipe, topped with buttery fried mushrooms, for a decadent brunch dish that will not disappoint. Heat 30g of the butter and a splash of oil in a large non-stick frying pan and fry all the mushrooms, seasoned with salt and pepper, over a high heat for 5-6 minutes until golden brown. Add the garlic and rosemary sprigs and cook for another minute. Set aside and keep warm. Meanwhile, beat the egg in a shallow bowl with a splash of water and dip in each slice of bread to fully coat. Set aside on a plate. Wipe the pan clean, then heat the remaining butter and a splash more oil and cook the eggy bread for a few minutes until golden and crisp. Turn over, top with the grated emmentaland cover with the lid or a sheet of foil and cook for a few minutes longer (to help melt the cheese). Season with a little more salt and plenty of black pepper to taste, then serve the eggy, cheesy toasts topped with the mushrooms.